"To be honest with you, I'm confused myself. I don't really know what I liked and what I didn't like," said Tsitsipas. "The games are very stressful. Obviously there's no advantage so you need to be twice more concentrated. But, I love those rules because I won." "The headset, I'm not a big fan of it, but you could see from the reaction yesterday," Tsitsipas smiled, after smashing his headset in Friday's semi-final. "No-let rule, we didn't have problems with it this week. "Live Hawk-Eye was exciting, very, very good. No mistakes. Very accurate. Very responsive... just much better than the human eye. So I love the live Hawk-Eye. 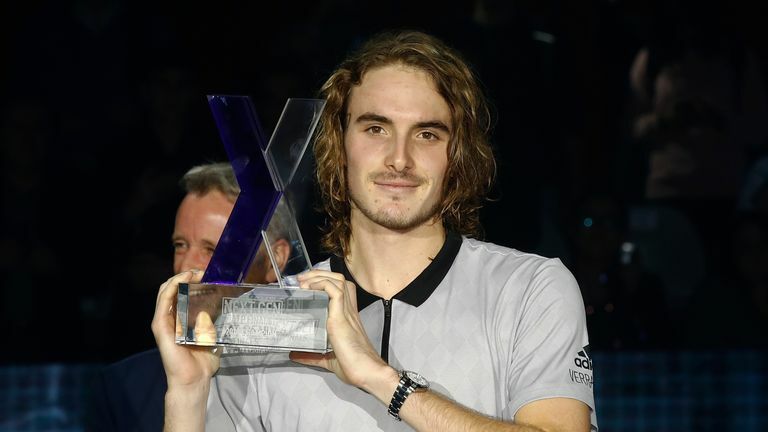 "Hopefully it can be put in more events in the future and be the innovation of the game," added Tsitsipas, who finished runner-up to Rafael Nadal in Barcelona and Toronto. Third place went to Russian Andrey Rublev, who defeated Spain's Jaume Munar in five sets.